The department offers Mechatronics Engineering academic program for the bachelor’s degree. It is an interdisciplinary smart engineering program. It integrates mechanical and electrical engineering systems with real-time control. It combines hardware with software to produce new devices such as consumer smart products, high-tech automobile systems, and robots. The program consists of 10 semesters which take five years to be completed. It involves techniques in precision engineering, electronics, robotics, computers, information science, and control theory and applications. The program offers courses in theoretical and applied fields of electro-mechanical control, instrumentation, microcontroller technology, systemic engineering design, and industrial automation. The Mechatronics graduates earn the abilities to function on multidisciplinary teams and to identify, formulate, and solve engineering problems. Mechatronic engineers play a key role in national and local economies by utilizing their expertise in the design and development of intelligent systems, automation of production systems and control of various manufacturing processes. They could work in one of the many industries where automation is in demand, such as manufacturing, automotive, mining, cargo handling and agriculture. They may become involved in fields such as instrumentation, industrial automation, and robotics. 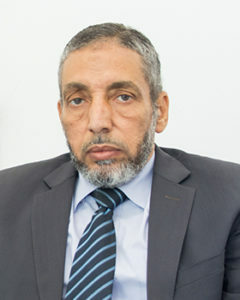 Professor Osama Abd Elmohaymen Montasser is the Head of the Department of Mechatronics at the Faculty of Engineering, Heliopolis University for Sustainable Development since September 2017 till now. Read More..